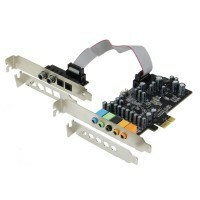 SE-PCIE-SC-10 can create a high-quality home theatre sound system. It offers SPDIF input and output ports which deliver crystal-clear digital optical audio, for the ultimate listening experience. 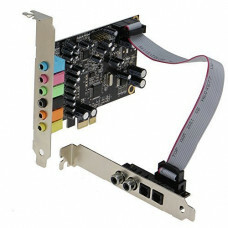 With up to 24-bit and 192KHz playback and recording, this 7.1 surround sound adapter card delivers high-definition audio for superb sound quality.